June 6, 2014 By This post may contain affiliate links. Whether you need a bowl for ice cream, cookies, or any type of cake. 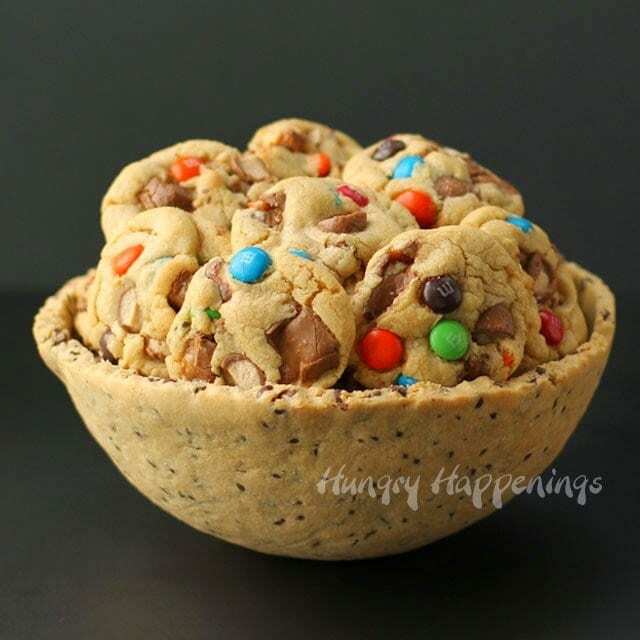 This Chocolate Chip Cookie Bowl is exactly what you need. And the best part is, the bowl is edible and you don’t have have to clean the bowl! After my successful attempt at making a 100% Edible White Chocolate Popcorn Bowl, I thought it would be fun to try other recipes to see what would hold it’s shape well enough to be used as a serving bowl. I’ve seen small chocolate chip cookie bowls, but have never seen one this big. After a few attempts at making an edible bowl large enough to hold other cookies, I realized that a traditional chocolate chip dough spreads too much to work.Believe me, I tried three different recipes. I even froze the dough overnight, thinking that would help. Nope. Each time I ended up with cracks and holes and cookie dough sliding off the bowl I used as a mold. So I needed to find a dough with brown sugar in it, so it resembled the taste of a chocolate chip cookie, but wouldn’t spread. I knew I wouldn’t match the flavor exactly, but at this point I was more concerned about the look of the edible bowl than the taste. 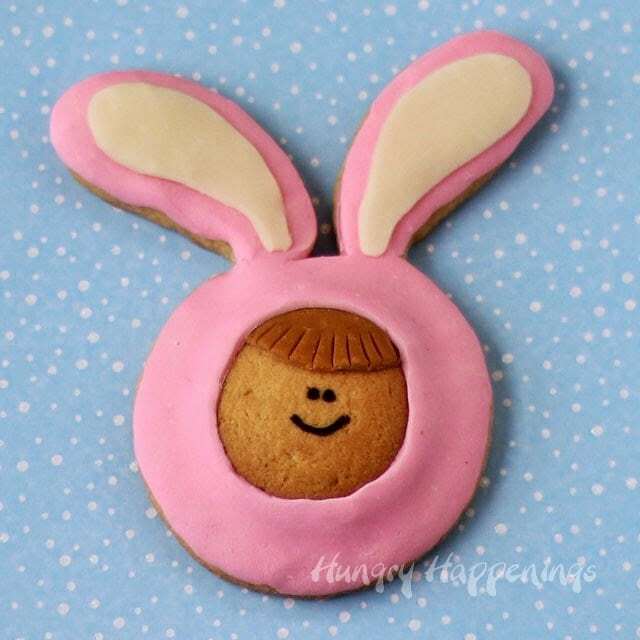 A good cookie was all I needed. 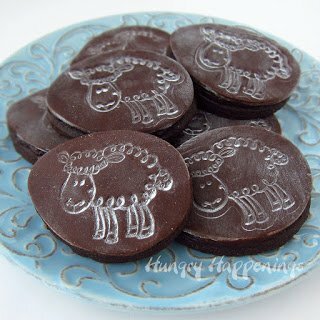 I didn’t need to search my recipe arsenal for very long before I found the cut out cookie recipe from Georganne of LilaLoa. Her recipe uses brown sugar, but really does not spread. I made a batch, tossed in some mini chocolate chips, shaped it around a non-stick tin foil lined bowl, baked it and hoped for the best. When the timer went off at the 20 minute mark, I turned on my oven light, and happily found the dough formed around the glass bowl looked perfect. I crossed my fingers and baked it another 10 minutes. When I pulled it from the oven it was golden brown and in the perfect bowl shape. After the bowl cooled I piled in a bunch of candy filled cookies. 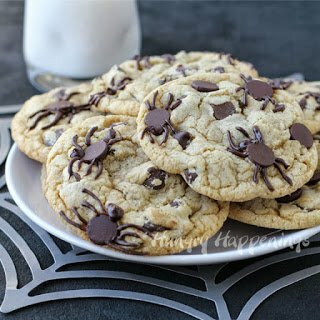 To make these cookies, I just chopped up a variety of candy bars and used them in place of chocolate chips in my favorite chocolate chip cookie recipe. I wanted the cookies to look a bit different than the bowl, but have a great chocolate chip cookie flavor. These were perfect.These bowls would be great for parties or to use as gifts. If your dad is a cookie monster like mine, this would be a really fun present for Father’s Day. A serving bowl sized chocolate chip cookie can be filled with your favorite cookies. 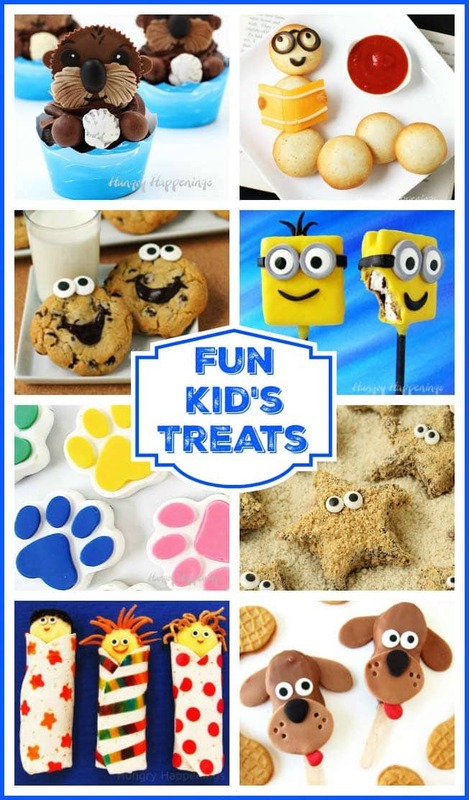 It's great for gifts and for parties. Cream butter, brown sugar, and granulated sugar. Add egg, egg yolk, and vanilla and beat until well combined. Combine salt and baking soda with 1 1/2 cups of flour. Add to wet ingredients and stir just to combine. If the dough is sticky add the remaining 1/4 cup flour, if not, then just leave it out. Line glass bowl with non-stick tin foil. Roll out dough and drape over bowl. Freeze for 30 minutes. Preheat oven to 350 degrees. Bake for 30-36 minutes until golden brown. 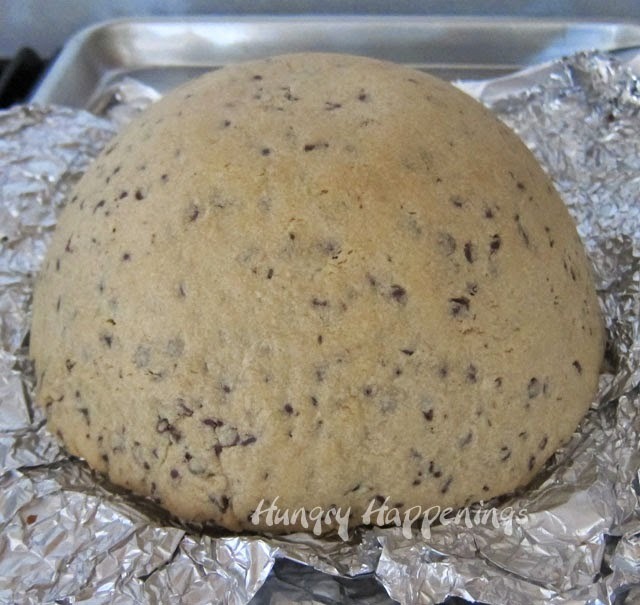 Be sure to freeze the dough until the bowl feels really solid before baking. This will help the cookie bowl keep it's shape. Make cookie dough. Cream butter, brown sugar, and granulated sugar. Add egg, egg yolk, and vanilla and beat until well combined. Combine salt and baking powder with 1 1/2 cups of flour. Add to wet ingredients and stir just to combine. If the dough is sticky add the remaining 1/4 cup flour, if not, then just skip it. Stir in mini chocolate chips. Line the outside of the bowl with non-stick tin foil, making sure the non-stick side is facing out. 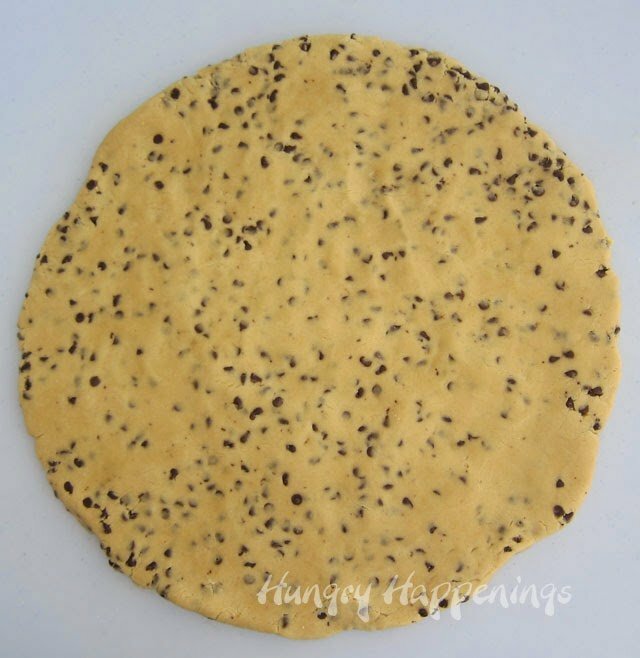 Roll the cookie dough out into a large circle. 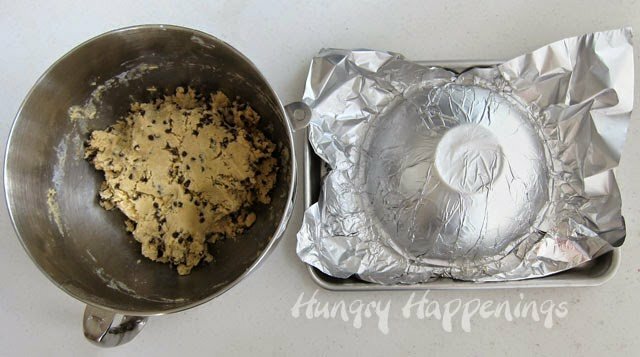 Drape it over the tin foil lined bowl, cut off any excess dough. Freeze for 30 minutes. Sorry, I missed taking a picture of this step. 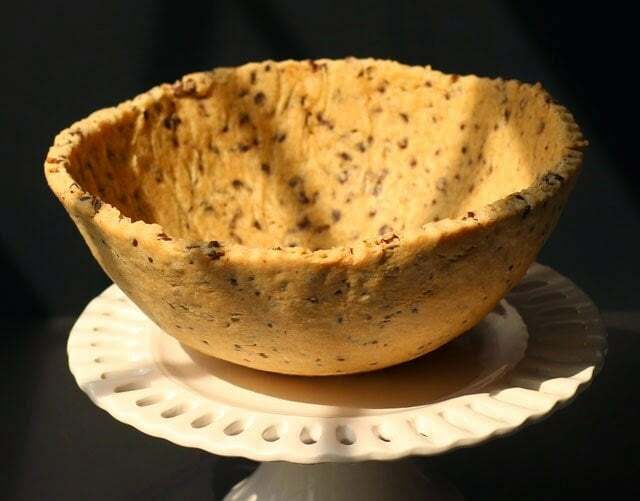 Bake chocolate chip cookie dough bowl for 30-36 minutes until golden brown. 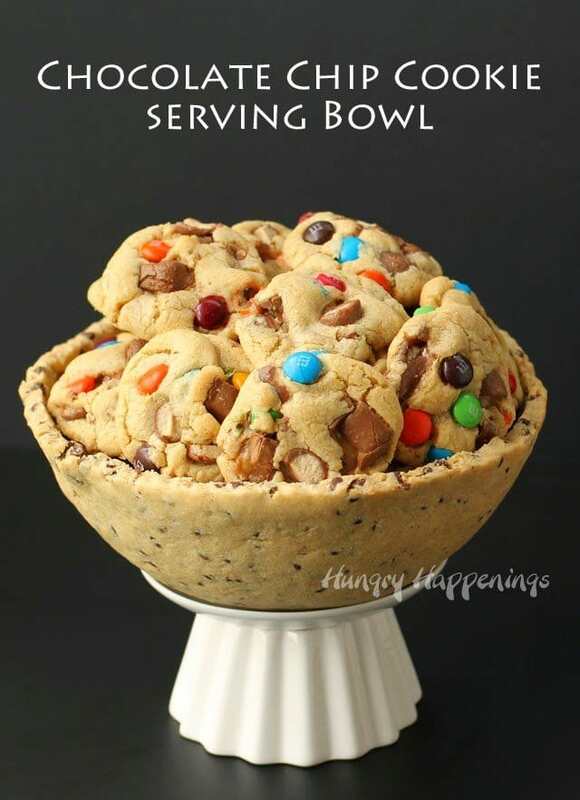 Allow cookie bowl to cool for about 20 minutes then lift it up off the bowl. Allow it to cool completely. This is the only shot I got of it before I filled the bowl with cookies. You can see what I deal with while trying to shoot pictures. I have panes in all my windows, so the light has to be just right or I get lines all over my food. Oh, so fun! 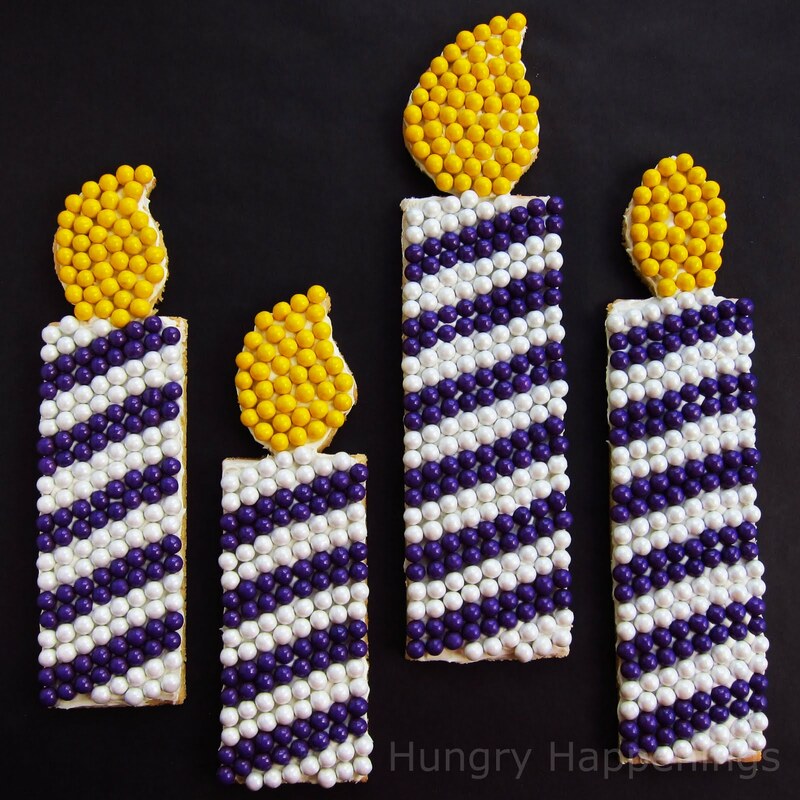 Fill with yummy cookies before serving. you can do no wrong period. Thanks, Lisa. That's nice of you to say. If I made those cookies in the bowl, I would have to package it up so fast, because I would want to pull off piece after piece of the bowl. 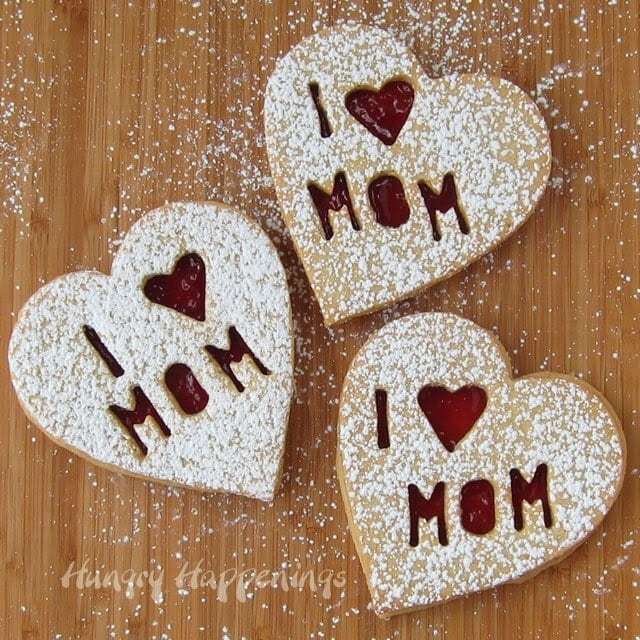 Then the cookies would spill out and I would have to eat those too! 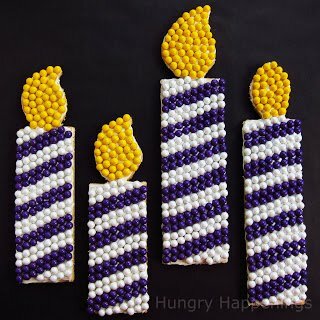 Super cute idea for father's day! I kept this for a few days to serve at a party, and it was hard not breaking into it. Oh My…! !… I'm speechless…. I love it!, I'll make it this weekend to watch the GoT episode! =) thanks for sharing this! Have fun making your chocolate chip cookie bowl and watching the GoT episode. Yes, yes, yes, and omg yes! I wouldn't know which one to eat first! Such a great idea! I'm completely "bowled over"! What a great idea. 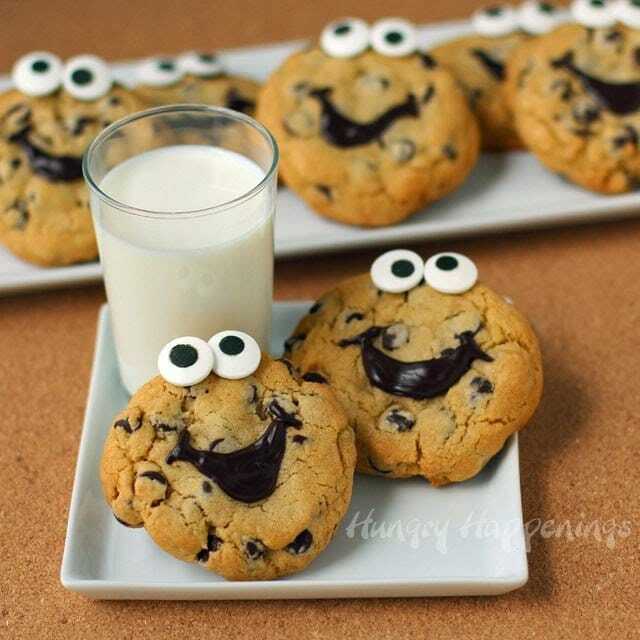 I agree with you.. this is perfect for all those cookie monsters! LOL! You are too cute. Thanks. 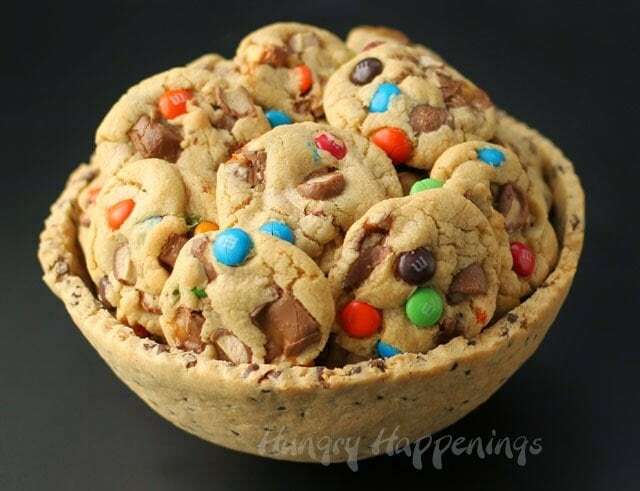 Edible cookies bowl, omg yesss, I mean big YES!!! I'm pooling ideas for great ideas for my BFFs twin shower that will be at an outdoor venue with family coming and going. I'm thinking this makes the top of the list for things to make people stop and hang out!! I love it. This is such a great idea. I have got to try this. Pinning. I love this! Can't wait to have an excuse to give it a go! Perfect…you answered my question…What to get a dad who has everything for Father's Day. Thank you! 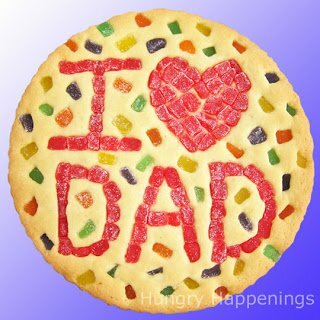 I'm making one for my dad too! 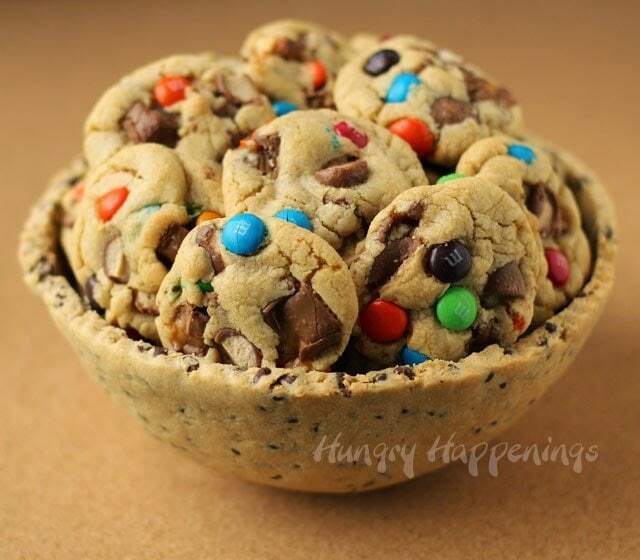 Cookie bowls?!?! What a fantastic idea. Like others have said, it's great for Father's Day. I'd be thrilled if you'd link up at this week's Off the Hook!